Press Room » FSCJ Artist Series presents The John Denver Celebration Concert! 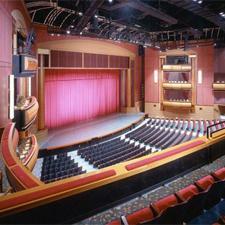 FSCJ Artist Series presents The John Denver Celebration Concert! The John Denver Estate announces an innovative, live concert series honoring the singer/songwriter's memory and music! Audiences will get a close-as-they-can-get experience of seeing Grammy Award-winning singer/songwriter and Poet Laureate of Colorado, John Denver in a concert setting. For one performance only on September 29 at 8 p.m. at the Times-Union Center, Jacksonville fans can experience the legend like never before. 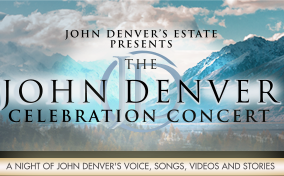 Featuring archival video footage of Denver performing classic songs backed by live performances from former members of his band with an accompanying string section, the John Denver Celebration Concert tour is an innovative musical treat and unforgettable tribute. Concerts will include hit songs spanning his career and honor Denver’s memory and music. With over 33 million records sold and seven Billboard Top Ten albums, Denver released 23 studio albums over his lifetime. Best known for the beloved songs “Leaving On a Jet Plane,” “Take Me Home, Country Roads,” “Sunshine On My Shoulders,” “Annie’s Song,” and “Rocky Mountain High,” which is the co-state song of Colorado, his catalogue continues to sell thousands of units per week. Among his numerous awards and recognitions, Denver was instrumental in championing environmental and humanitarian causes. His popularity and continuing influence on popular culture more than a decade after his untimely death in 1997 is remarkable.